NEWSFLASH!! Our new stallion, Vimto, just arrived! All the girls are already curious about the new guy in town and we are working on getting a webpage up for him shortly! Please check back frequently as we are always adding new info. Midnight Sun Ranch is a family owned and operated ranch located in Northeastern Washington State. 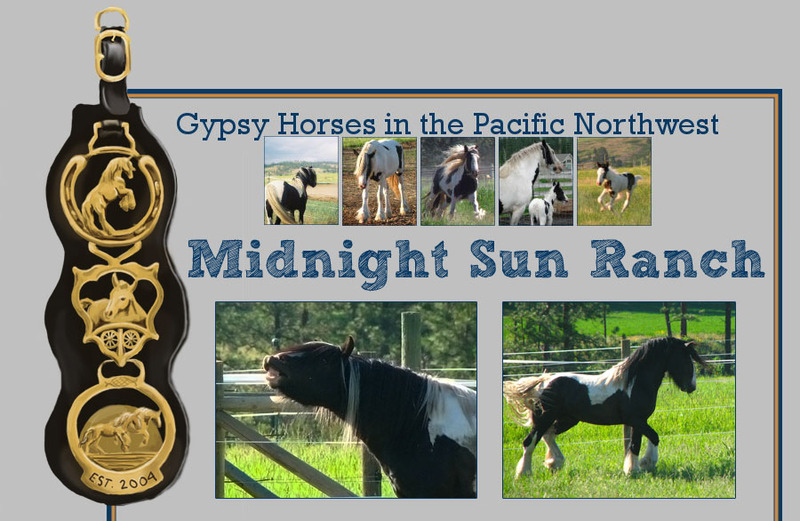 We take pride in importing and breeding high quality Gypsy Horses and Haflingers, and offering select horses for sale. We have found the magic in owning these colorful horses with colorful histories. Now we invite you to do the same. Go ahead, embrace the magic of the Gypsy Horse. 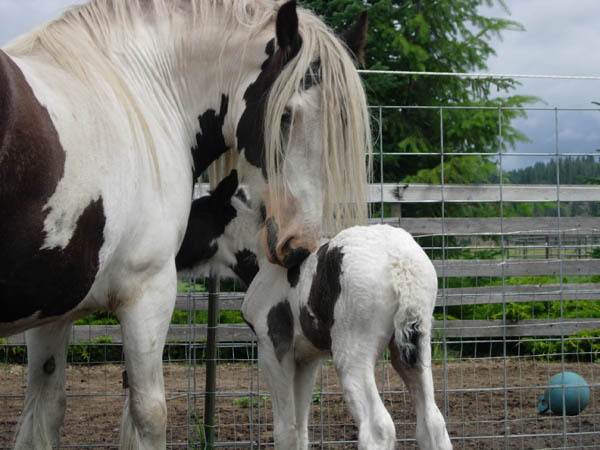 Our 2009 foals have arrived! 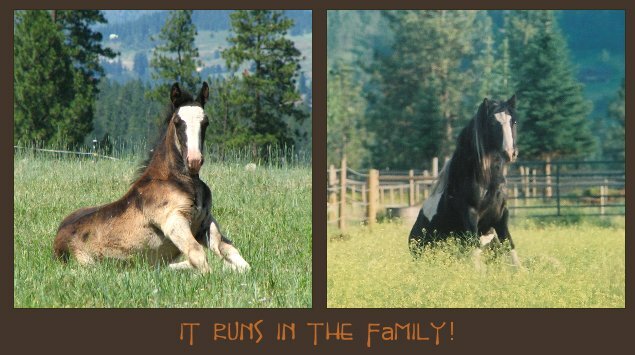 Midnight Sun Ranch Phineas and Midnight Sun Ranch Ziva are the first foals out of our stallion, Vimto. Visit their pages to learn more about them!